RELYING ON WORD OR EXCEL FOR INVOICING? Upgrade to Invoices Unlimited today and get more features, more convenience, and better security for FREE! 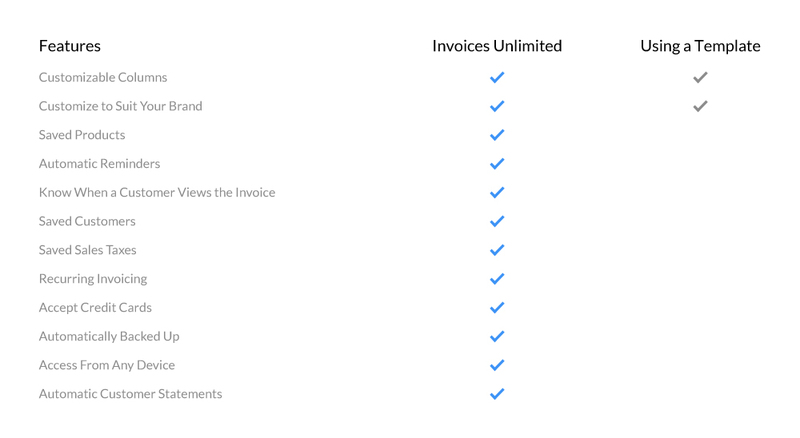 Why Switch to Invoices Unlimited? With our full-featured and completely free solution, there is no reason to delay enjoying all of the benefits now! Timesaving features like memorized product and customer information allow more time for other important activities. Adding your logo and branded colors to our professionally designed templates builds confidence with your customers. Being able to create and send invoices from anywhere you have a connection keeps your business running smoothly all the time. With Invoices Unlimited, your customers can receive and pay your invoices with less effort and more efficiency than ever before. Enjoy the peace of mind of using solutions with the same level of encryption as the best online banking applications. We make it easy for you to create invoices, monitor payments, send receipts and keep track of all your customer accounts. Step up to Invoices Unlimited and say goodbye to those cumbersome Word and Excel templates. Best of all, it’s completely FREE……….so try it today! See how the features of Invoices Unlimited stack up against the Word and Excel templates and get ready to activate your free account now! How Does Invoicing Affect Your Business? An invoice is a statement that describes the goods or services provided and the total cost. The bills you send out to customers and clients can say a lot about your company. For example, a coffee-stained piece of paper could make your business seem unprofessional. 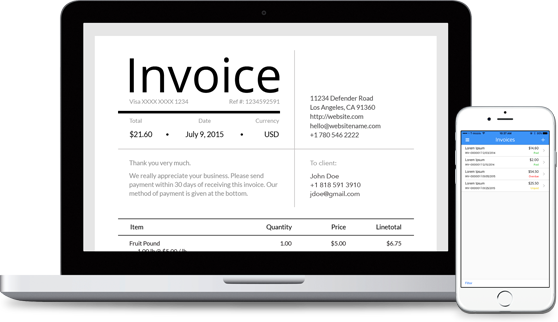 Using free invoice templates, on the other hand, could increase the professional appeal of your business. Invoicing can affect more than the cashflow of your organization. When the software memorizes the products you use, you do not have to manually re-enter each product every time you send it out. If you have customers who get a product or service regularly, you can set up recurring invoicing. Automatic bill reminders sent directly to your clients make it easy for you to collect receivables. Because the program is web-based, you can access it from virtually anywhere with WiFi. Real-time updates when the invoices are viewed and payment is sent in can help you make smart decisions for your company. For many businesses, invoicing increases efficiency because it makes staying organized easy. The invoicing software you use can also directly affect your customers. For example, when you use a web-based application, you give your clients more payment options. If a consumer wants to pay with a debit or credit card, it is now possible. This means your customers can pay how they want, but it also means you get your receivables faster. Invoicing can also affect the security of your company. Most clients wish to keep some information private. You can keep your customer’s information safe through high-level encryption.  The invoice solutions here have the same level of encryption used for online banking programs. 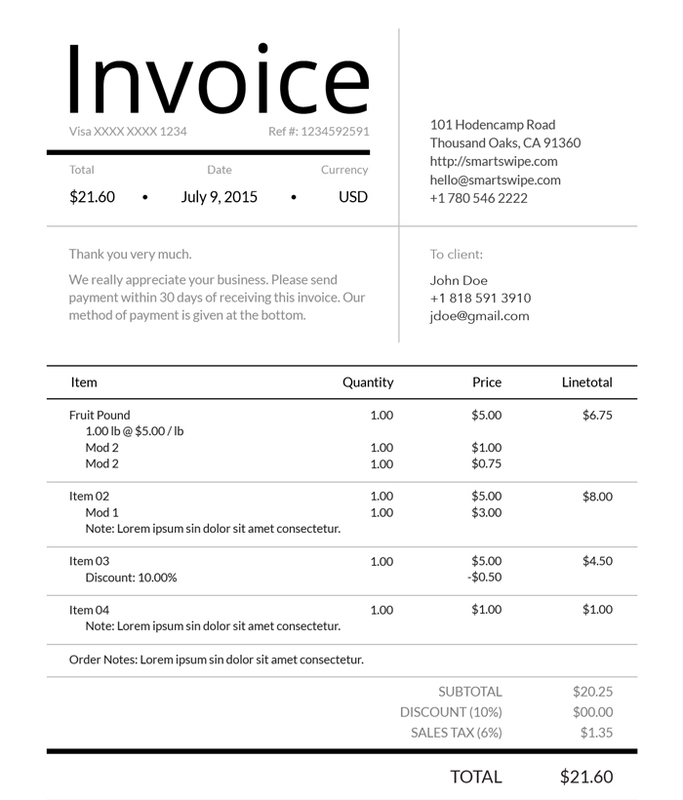 Finally, using professional-looking invoice templates can help you brand your business. You can customize the bill to include the logo and color scheme of your company. When customers get your bill in their inbox, they will know immediately who the invoice is from.